What kind of homework assignments do you give your children? Especially with younger students? Our reading curriculum, SuperKids, has high expectations for primary learners. When we started the curriculum a year and a half ago, our first graders were not successful on the spelling tests. The tests included 5 or 6 memory (sight) words and 4-6 spelling pattern words. The only assignments and practice were from the book we completed together in class. We knew that since the group did not have SuperKids in kindergarten, they were a bit "behind" in the requirements of the curriculum. So I worked like crazy all year to create assignments for the children to complete at home to practice the memory words and understanding the pattern words. 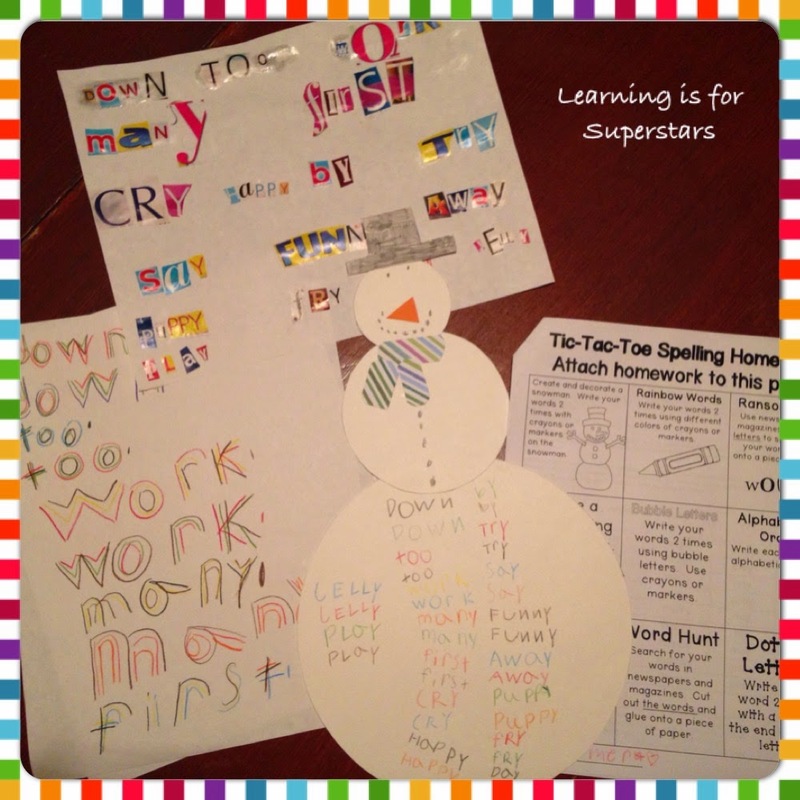 The first semester homework packet included 4-5 printables, along with a reading activity to practice with mom or dad to read the pattern words. The second semester homework is a tic-tac-toe board. The child chooses 3 in a row and is to complete the assignments and return to school. 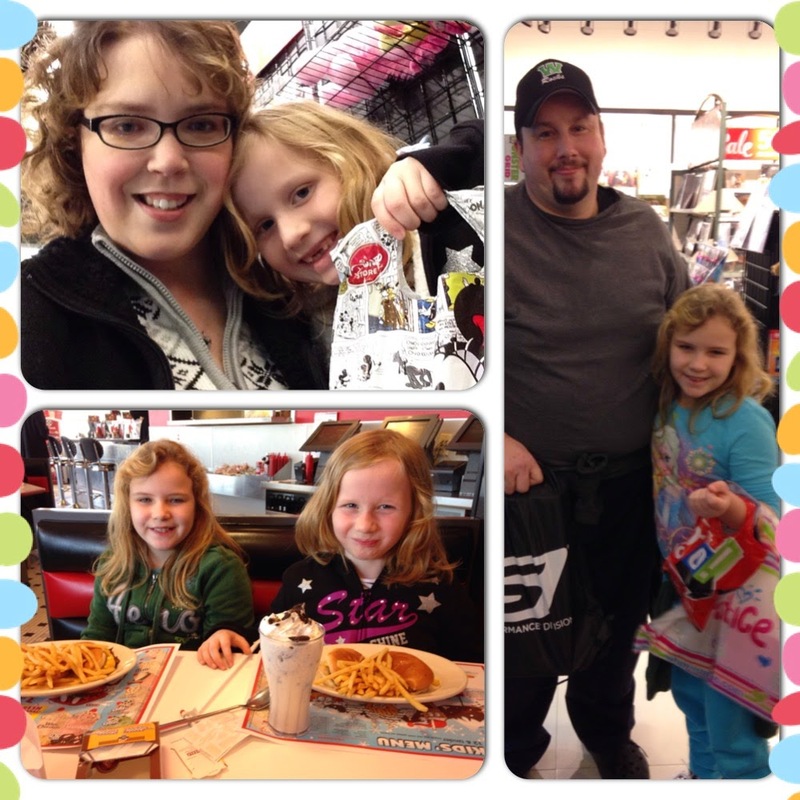 A bit of a rabbit trail ... this fall my husband and I became foster parents to 2 girls. Sorry, can't resist not sharing a pic of us from our Christmas trip to Indianapolis! Back on track ... the younger one is in first grade. Well, let me tell you, it's very strange getting my homework assignments in her Monday Folder each week! We are finishing the first unit in the second semester this week and this has been happening at our dining room table the past few nights! I am giving you two of my tic-tac-toe boards. Just attach the words to the board and send it home! Click HERE or on the images below to download. We have a two hour delay for tomorrow, as ice is expected overnight, so we are staying up a little later to watch a movie! Have a great week!